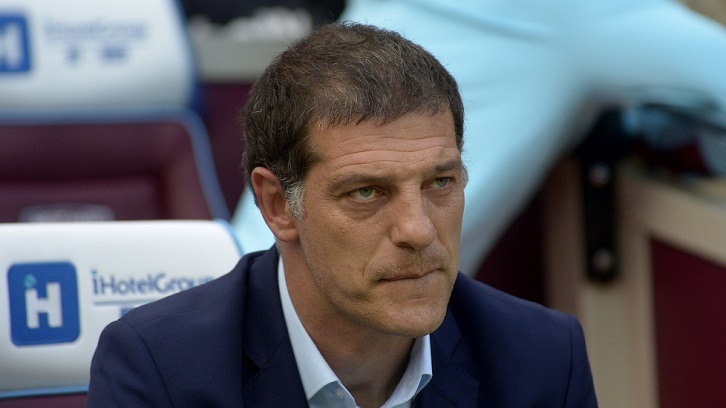 Evening news: Bilic under pressure? Sturridge / Mandzukic in to get the goals? Evening news round-up for Wednesday 23/11/16 by 337hammer. West Ham manager Slaven Bilic under increasing pressure as owners consider other options. Telegraph Sport understands West Ham chiefs have started to consider their options should they feel forced to make a change with Eddie Howe, Roberto Mancini, Rudi Garcia and Rafa Benitez all admired within the club. Co-owners David Sullivan and David Gold, plus vice-chair Karren Brady, now fear West Ham could go into the busy Christmas period in the bottom three which would leave them a difficult decision to make on Bilic. What will happen with our manager? If we go out of the cup and lose our next 2 or 3 games will it be time up for Bilic? Slaven Bilic not facing the sack at West Ham despite poor start to the season for Hammers. West Ham have no intention of replacing under-pressure boss Slaven Bilic, despite the club being just outside the bottom three. Reports suggesting that Eddie Howe and Rafa Benitez are being lined up to take over at the London Stadium are wide of the mark. But despite the fact that the Hammers could go into the Christmas period in the relegation zone, co-owners David Sullivan and David Gold and vice-chair Karren Brady are firmly behind Bilic. Will our owners stick with Bilic no matter what the results before Christmas? What do you think? John Hartson shares how he would feel if Slaven Bilic was sacked by West Ham United. John Hartson has told the Alan Brazil Sports Breakfast Show, which was broadcast on TalkSPORT on 23rd November, that he would not be surprised if West Ham United sacked Slaven Bilic. The former West Ham striker said: “There’s a bit of ill feeling around the club. I think the problem Bilic and West Ham have got is that they overachieved last season. They are under pressure. How would you feel if Slaven Bilic lost his job? Who would you want to replace him should it happen? Who would realistically come if we did need a new manager? David Gold responds on Twitter when asked who is to blame for West Ham’s summer signings. West Ham United co-chairman David Gold has taken to Twitter to state that everybody is accountable for the club’s summer signings – but maintains that this is the strongest squad they’ve had in some time. Many fans feel that the summer recruitment is to blame, as West Ham brought in a whole raft of players, with few of them making any sort of impact so far. One fan sent a message to co-chairman David Gold asking who is to blame for the poor recruitment – and Gold suggested that everybody, such as David Sullivan and manager Bilic – are all to blame, but he still claims that this is the strongest squad West Ham have had in years, meaning they should be performing better than they are. Who is responsible for the poor deals we made in the summer? The manager? The board? Tony Henry? Our scouting team? How West Ham hope to land Liverpool star: Ambitious plan preferred. West Ham reportedly wish to sign Daniel Sturridge on loan in January before landing him permanently from Liverpool in the summer. Express Sport understands the Hammers are front runners to land the England international. Is ‘The West Ham Way correct’? 😉 Will we look for a loan deal to start with? Is that the correct thing to do? Mario Mandzukic tops West Ham’s January transfer wish list as Hammers try to cure goal drought. Is Mandzukic possible the answer? Loan or permanent deal? Can we get him? The Big Interview – Aaron Cresswell. Aaron Cresswell is determined to build on his England experience by helping West Ham United move back up the Premier League table over the coming weeks. Fresh from making his Three Lions debut in the 2-2 friendly draw with Spain, left-back Cresswell is well aware that the Hammers need to turn their form around with fixtures against Manchester United, Arsenal and Liverpool around the corner. Harewood hopes to see another famous win. Marlon Harewood will never forget his last ever game for West Ham United. In fact, 13 May 2007 will always be remembered by everyone associated with the club as it was the day Carlos Tevez scored the winning goal against Manchester United to keep the Hammers in the Premier League. Alan Curbishley’s side somehow managed to win seven of their last nine games to stay in the top flight which was labelled the ‘Great Escape’. What do you think of our chances at Old Trafford? If you could get only one win, would you prefer to win in the league or the cup? IN my opinion this early talk of WHU signing Daniel Sturridge is highly premature and very unlikely First, even if Liverpool make him available he is going to interest other clubs in the premiership or abroad. Second, if the Hammers are still in a precarious league position whilst his current club is in line for the league title it is a no brainer that he would probably prefer to stay where he is .Third, A straight transfer fee is probably more than we might be prepared to pay not to mention the wages he is now on which would make even a loan doubtful Lastly ,as good as he is, he has a record of recurring injuries and WHU may not prefer to go down that road again.